In the face of their policies of terror, we state we are not afraid, their sentences will collapse, because we have reason and organization on our side. 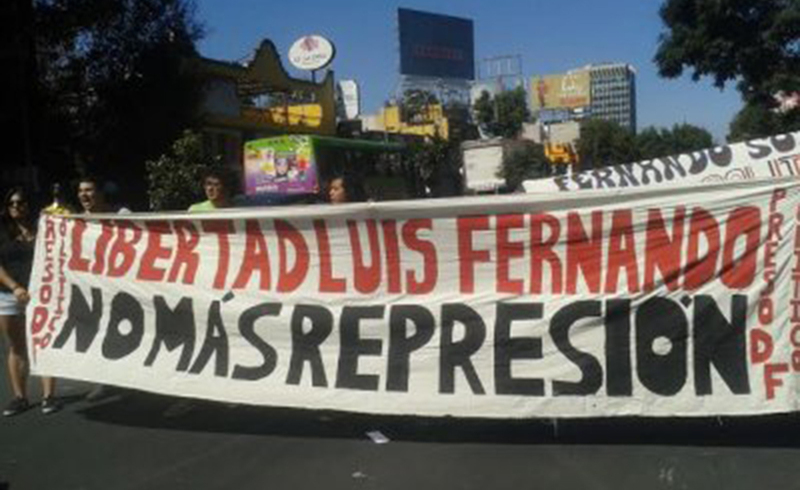 On Tuesday, September 20, after one year and nine months of proceedings, our compañero Luis Fernando Sotelo Zambrano was given a sentence of 33 years and five months in prison and a fine of 519,815.25 pesos, for the crimes of attacks on public thoroughfares, first-degree attacks on public order, and first-degree destruction of private property. This sentence is in line with the Mexican state’s policies of repression and criminalization, starting with Mexico City Mayor Miguel Ángel Mancera, who sought to condemn our compañero without any evidence and to place a ridiculous and disproportionate sentence on him. In the face of their policies of terror, we state that we are not afraid, that their sentences will collapse, because we have reason and organization on our side. Today we renew and strengthen the solidarity with our compañero, may he know that he is not alone, we will walk and struggle together until the walls of their prisons fall, we will fight tirelessly until we are all free! Let our rage become one, let the wind blow, let the storm begin! Luis Fernando Sotelo Zambrano was arrested on November 5, 2014, near University City in Mexico City, following the Third Global Day of Action for Ayotzinapa. During the demonstration, a Metrobús station and a Metrobús (a rapid transit bus service) were burned. 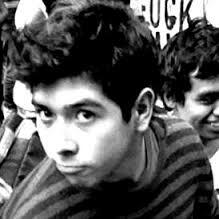 The following day the 20-year-old student was charged with several major crimes and sent to South Prison (Reclusorio Sur) in Mexico City where he has been held in solitary confinement, classified by the warden as a “pyromaniac.” Three businesses and the Mexico City government claimed 13 million pesos in damages. Luis Fernando was involved in various political projects, including the Ollin Meztli Collective, the ik’ otik Cooperative, the Network Against Repression and for Solidarity, and is an adherent to the Zapatista’s Sixth Declaration.